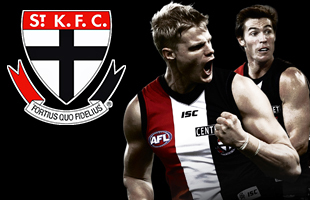 The duo will join Saints Captain Michael Boyce as the players that classify under the Retained Players List (RPL) 1 category. 2017 AFL New Zealand Premiership Player of the Year Andriu Sucu has been retained by the Southern Saints for the 2019 season. His performance in the backline for the Saints in 2017 earned him the trophy and joined his younger brother Brandon as the first two recipients to hold the award as best player in the competition. 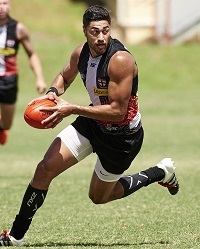 Playing the sport since 2005 as a 15 year old for the North Shore Tigers in the Auckland AFL, Andriu’s height and strength along with his knowledge of the game makes his a top choice to remain at the Saints in 2019. 20 year old Carlos ‘The Weapon’ Donnell-Brown will remain at the Southern Saints in 2019. In his short time playing AFL, Carlos has won the National AFL Cup Secondary Schools Competition with Green Bay High School, won the 2016 Auckland AFL League with the Waitakere Magpies in an undefeated season, he is an NPC winner with Auckland, played for the NZ Academy Level 2, U18’s (Captain) and Senior sides and was a member of the victorious 2017 AFL New Zealand Premiership Southern Saints side. Carlos made his International Cup debut in 2017 and his accomplishments at still such a young age shows that Carlos has a bright future in the AFL New Zealand community.